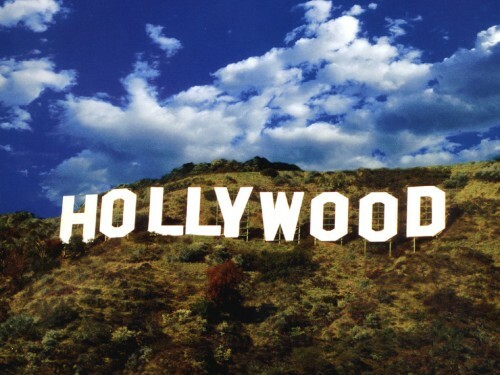 Cheap direct flights London-Los Angeles with Dreamliner for €447! Today’s big day for Norwegian! They just launched sales of tickets for their new routes to USA! 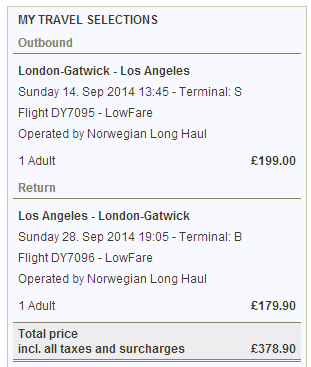 You can now book return flights from London Gatwick to Los Angeles for only €447 / 378 GBP. And to make it even better, this direct flight is operated by brand new Boeing 787 Dreamliner, the most modern airplane in the world! First tickets available are for July 2014 and the cheapest fares are in September. Departure: 7.9., 10.9., 14.9., 17.9, 21.9., 24.9., 28.9. Other dates are also available for higher but still great prices. The basic fare includes only cabin luggage, if you need classic check-in luggage, you have to pay extra for it. « Super cheap flights to Iran: Tehran for only €189!